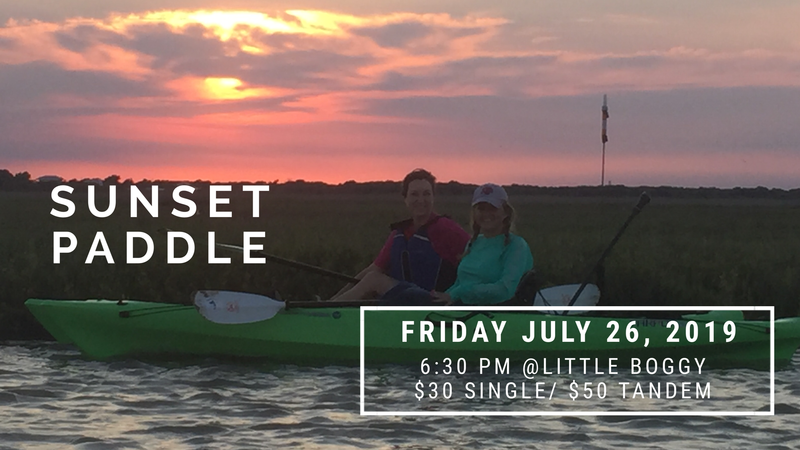 Bring your own kayak or SUP, life jacket, fishing poles & license (if you want to fish), 360 night light (if you want to stay later- sunset will be at 8:18pm), plenty of water, sunscreen & bugspray and your friends & family! If you’re bringing your own boat no need to sign up as this is an open & free event, just be ready to launch at 6:30pm. We will be paddling Little Boggy Bayou which connects McNab and Gottschalk lakes to the Intracoastal Waterway. This is a great place to fish for Reds and Flounder and view wildlife. Be aware that this is prime Alligator habitat and we have heard reports of some 13ft+ monsters up there. This is a good place to stay in your kayak and not get out to wade. From Matagorda, go east at the Cemetery on Old Gulf Rd. (also known as Cemetery Road). Drive for approximately 2.75 miles and park just before the small bridge and launch on the north side of the road. There are no facilities at this site. There is parking along both sides of the road. Do not leave valuables in your car at this site.